We are a unique Indigenous organisation with members that have extensive business experience, knowledgeable in a wide range of skills as well as a rich understanding of Indigenous issues and culture. We are committed to supporting the Aboriginal people of Cape York and to improve the region’s economic and social structures, at the same time as preserving their heritage and culture. We are committed to the Cape York Agenda, and play a key role in the delivery of Welfare Reform Program initiatives, particularly to the Cape York communities of Aurukun, Coen, Hopevale and Mossman. 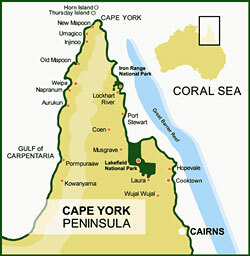 Together with other Cape York organisations and our sister organisations – Cape York Partnerships Welfare Reform, Cape York Land Council, Cape York Institute for Policy and Leadership and the Cape York Aboriginal Australian Academy – we actively drive the implementation of a broad spectrum of economic, social and cultural development programs that support sustainable long term outcomes designed to improve the lives of Aboriginal people of Cape York. We provide assistance through policy development, business consultation, research, mentoring, facilitation, training, financial management and other advisory and advocacy services. While our work is mainly funded by the Commonwealth and State Government, we also receive great support from corporate and philanthropic parties – all of whom have contributed to Balkanu’s continuing success.